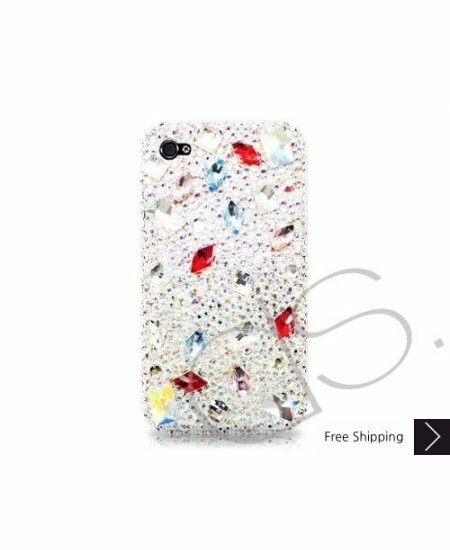 Diamond Scattered Bling Swarovski Crystal iPhone XS and MAX iPhone XR Case - White is handcrafted which make this the most luxury and prestige product. Every single pattern is a collaboration between our designers and craftsman. You will not find an identical case as yours even for the same pattern as they are all hand made. I ordered this case for my daughter. It arrived quickly and was amazing when it got here. The detail is wonderful and so was the color of the case. It was just as perfect as in the picture. I would recommend this to anyone . Price was great. I will be buying more. I have a teen with an Iphone and she loves to change cases often. She saw this case and HAD to have it...and at the great price it's a no brainer!! This case came more beautiful than the picture....at the great price. even if it broke quickly *which it hasn't* I bought her a more traditional case also....Thanks for such a beautiful and great priced product!! Will definitely buy from this seller again.